I am delighted that the project to restore old Cultra Railway Station is now back on track with the developer who is progressing restoration plans outlining that work should hopefully commence in Spring 2016. Larry Thompson and I formed a campaign to save the building in 2011 when the listed building fell into a perilous state and was put on the market by Ireland’s bad bank NAMA. 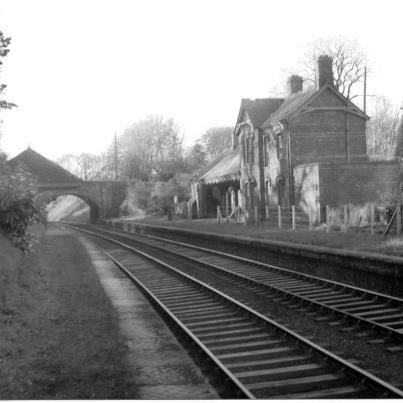 For the last number of years Larry and I have been working to see Cultra Railway Station restored to its original glory. Whether it was lobbying NAMA via Dominic Hannigan TD to secure the sale or engaging with Planning Department officials to secure Planning Permission after a long bureaucratic saga we’ve been working hard to see the building restored. 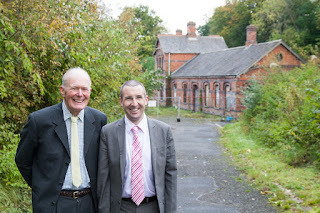 I am therefore delighted to learn that work will hopefully commence soon. I have a real passionate desire to see this building restored in the knowledge that far too many buildings have fallen into disrepair and eventually demolished. I will therefore continue to show an interest in this issue and provide necessary assistance until we see people living in the newly restored building. Cultra Station House was designed in the style of renowned architect Charles Lanyon, built in circa 1863 and listed in 2007 when threatened with demolition.